What Dictionary.com’s new additions say about who we are today. Description, expression, identity, power...the list goes on and brings us to a quintessential point: words are the pillars of language and core tools of communication and representation. But words are not static; like ourselves and our societies, our vocabulary grows and shifts. We adopt and develop new words. There are those that trickle in from foreign tongues, those that saunter in as slang, while others tumble down from the ivory towers of academia. The lexicography team at Dictionary.com is constantly monitoring new words (observing everything from trendy hashtags on social media to dense terminology in research papers) to keep the site updated. Last week, the site announced that it was adding more than 300 words to its digital tome. The list of new words (and terms) is all over the place (you’ll find “dad joke” on there, along with “impostor syndrome”). While there’s no one unifying theme among the fresh entries, there is a strong political current running through the list. “Witch hunt,”, “DACA”, “white fragility”, “toxic masculinity,” and “male gaze” have all been added to Dictionary.com, as have words focused on gender/non-gender identity, such as “womxn” and “Latinx”. Ironically, few of these new words are not really all that new. “Male gaze” for instance, was first conceptualized in 1975 by film critic Laura Mulvey and has been integral in feminist theory for decades. “DACA”, the acronym for the immigration policy Deferred Action for Childhood Arrivals, was introduced in 2012. “Impostor Syndrome” stems from a 1978 article by Dr. Pauline R. Clance and Dr. Suzanne A. Imes. So why are these words and terms only now being added to Dictionary.com? Rather than looking at these words as neologisms, or newly coined words, it’s perhaps more accurate to look at them as a kind of filling in those dictionary gaps. We’ve been using some of these words for a while (some longer than others), and now, we can look them up on Dictionary.com, which we’ve evidently been trying to do. We’re also Googling some of these words quite frequently. "Dad jokes" is searched on Google an average of 201,021 times a month. "Bracketology" is searched on average 102,537 times a month, peaking in March. "Imposter syndrome" (instead of "impostor syndrome") is searched on average 49,510 times a month. "Thirst trap" is searched on average 22,819 times a month. This is where we see an intriguing play on the chicken-egg scenario: The dictionary entry comes after the word has been invented and implemented — rather than the other way around. Because lexicography is long, hard work, these words had to develop a certain buzz to earn their entry on the site. In a sense, there needs to be a need for them to be in the dictionary, and part of measuring the need for a dictionary entry lies in measuring not only how often the word is searched, but how popular it has become. Take "male gaze", for instance. By being in the dictionary, words become official and more accessible. What’s the point of a new dictionary entry if we’re using the word already? The answer, in a word: legitimacy. When words are added to the dictionary they acquire validation. This not only enables access to them by people who want to educate themselves or others on their meanings; it also empowers those of us who use and need these words. Now, those of us who have been saying words such as “toxic masculinity” and “white fragility” can turn to a digital page and see and say, "A-ha! This word is real". Knowing that a word you feel or think or say is “a real thing in the dictionary” can be crucial — especially if it pertains to your identity. 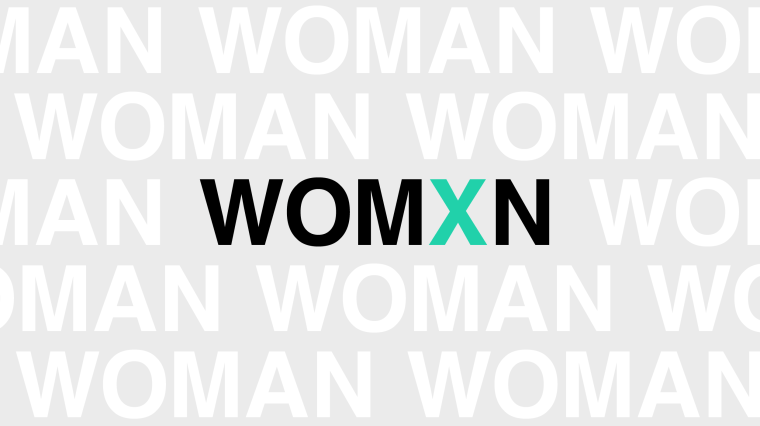 It is for this reason that Simpson, though she personally embraces the term “woman” for herself, appreciates the addition of “womxn”, as does Jules Purnell, a consultant and educator specializing in LGBTQIA+ cultural inclusivity for non-profit and academic professionals.